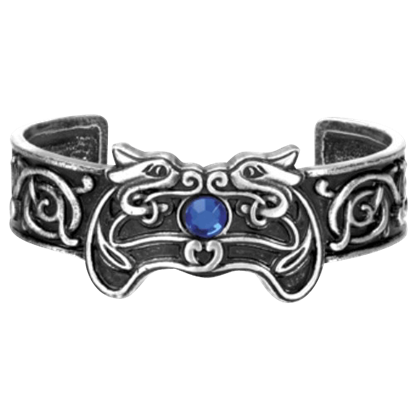 Here you will find a varied selection of Celtic bracelets, including cuff bracelets, bangles, link bracelets and slave bracelets. Our Celtic bracelets are crafted from the finest pewter or sterling silver. Many of the designs feature intricate and detailed Celtic knotwork, popular Celtic symbols like the Celtic Claddagh and Shamrock, and even delicate, simple designs with a charm and silver chain. Whatever you are looking for, we are sure you will find something to accent your outfit beautifully. 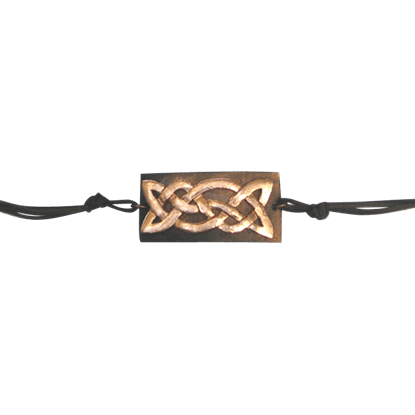 Showing off a touch of Celtic style is easy when you own this Antiqued Copper Celtic Knot Bracelet. Small size makes it a subtle accent, while its artisanal style and metallic finish makes it impressive despite its size. 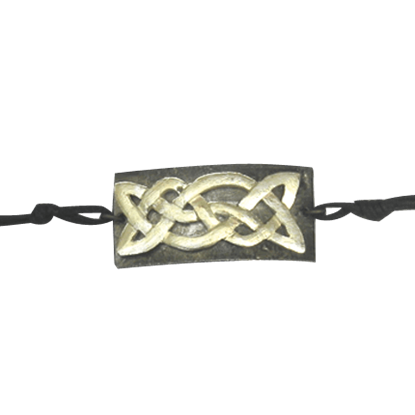 Showing off a touch of Celtic style is easy when you own this Antiqued Silver Celtic Knot Bracelet. Small size makes it a subtle accent, while its artisanal style and metallic finish makes it impressive despite its size. Find your inspiration and channel those ideas with the elegant Awen Knot Bracelet, which is as innovative as it is stylish. The unique design of this jewelry item can provide you with a daring and familiar accent, so grab one today. 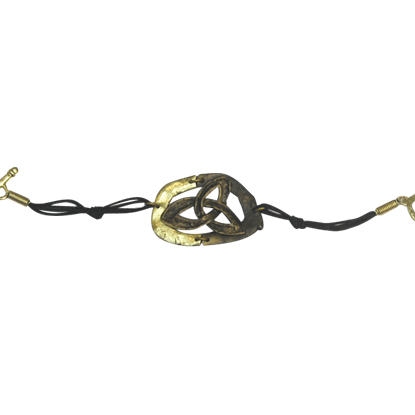 Celtic artwork often makes use of intricate knot designs with no observable beginning or end. The Brass Knotwork Artisan Bracelet displays one such endless knot design across a metal ornament, adding elegance to the piece. Step up your fashion game with a little help from the original and stunning accent like the Brass Spiral Bracelet. This accessory will become a treasured addition to your wardrobe after you experience the versatility for yourself. 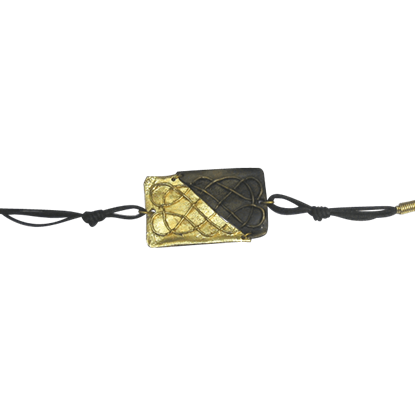 During your next social event impress your friends with the stunning and beautiful Brass Triquetra Bracelet. A unique accessory like this can only enhance your style and make you a true fashion guru among your peers. 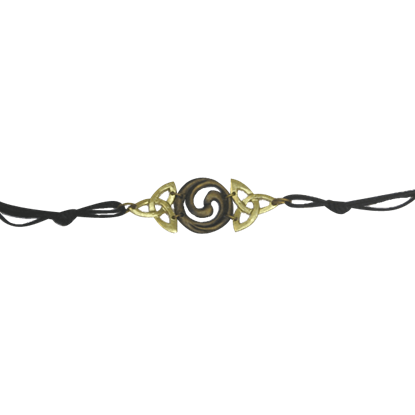 Now you can dress to impress with a little help from the innovative and unique Brass Triquetra Spiral Bracelet. This dazzling jewelry accent will breathe new life into your wardrobe so pick one up for yourself today. The triquetra remains one of the most popular Celtic designs, symbolizing concepts of three like the Maiden, Mother, and Crone. 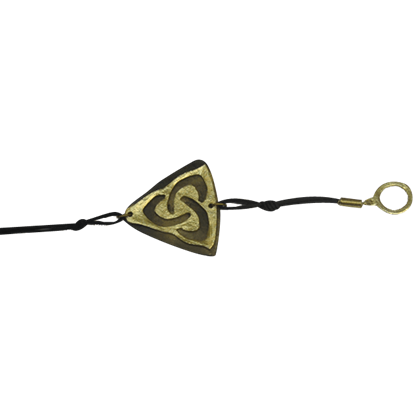 The Brass Triquetra Toggle Bracelet features a striking artisan jewelry design with this endless knot. Ideal for fans of wildlife and ancient artwork, the Celtic Animals Bracelet is as fashionable as it is stylish. You will find that this versatile accent piece can be easily paired with almost any outfit, so purchase one today. 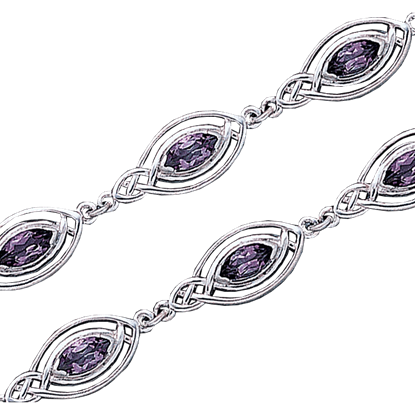 Capture the sheer beauty and elegance of the Celtic Bracelet, which will become a welcome addition to your collection. Combining ancient designs with modern fashion ideas this piece is as innovative as it is stylish. 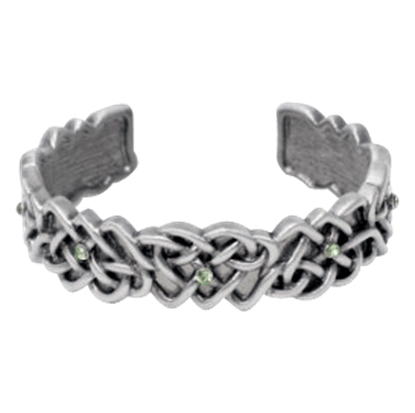 The Celtic Bracelet is a cuff bracelet with green gemstones placed throughout its intricate knotwork surface design. 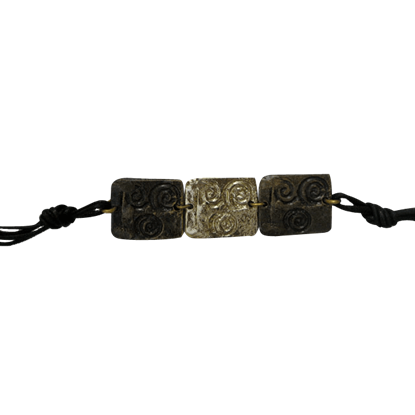 Made of lead free alloy, this silver tone bracelet makes a thoughtful gift for a loved one fond of Celtic style. 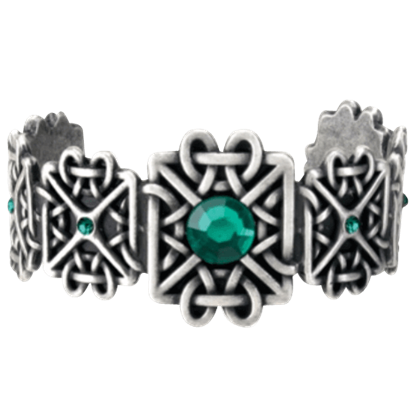 Your choice of shimmering synthetic gemstones adorn this silver Celtic knotwork bracelet. Each gemstone is bordered by winding knotwork. 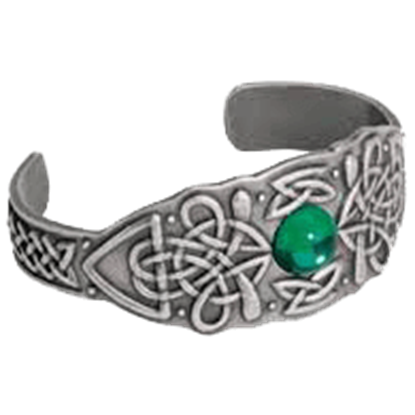 This bracelet is a beautiful way to show your Celtic heritage or your love of all things Celtic.